The DUACS system is the CNES/CLS processing system that provides satellite altimeter sea level products. This website presents the system and describes the different products available for the users. 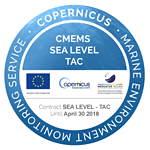 Today, the DUACS production system is used for the operational production of sea level products for the Marine (CMEMS) and Climate (C3S) services of the E.U. Copernicus program, for the processing of the Sentinel-3 products on behalf of EumetSat and for the production of demonstration and pre-operational products on behalf of the CNES french space agency (more details here). 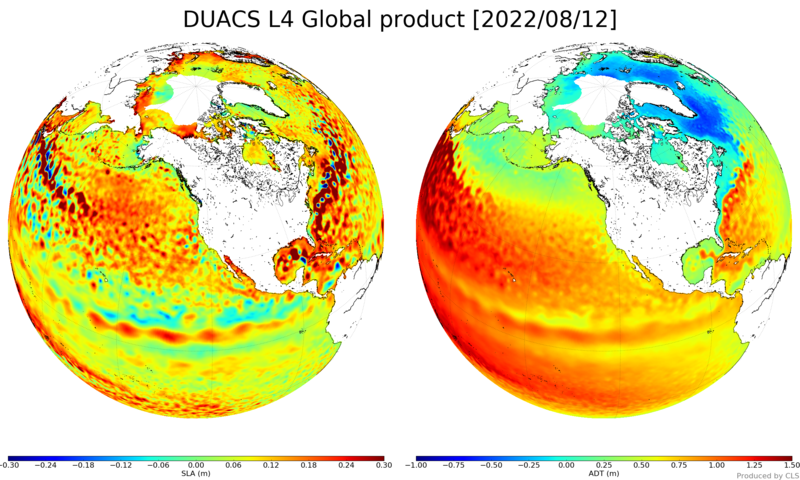 Latest Duacs maps (Sea Level Anomalies, left, Absolute Dynamic Topography, right). Map produced with a 6-day delay.